Pestbusters have several years experience in pest control and rodent control across Wolverhampton, the West Midlands and the surrounding areas. 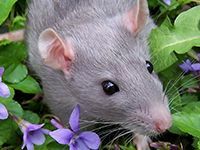 We are experts in all aspects of vermin control, rat control, bird control, insect control and rodent control throughout Wolverhampton and the Black Country area. We operate 24 hours a day, 7 days a week so we are always ready to answer your queries and deal with your pest control issues. Pestbusters are a highly experienced team of pest control specialists operating throughout Wolverhampton and further afield. We have a customer base that includes schools, private home owners, leisure centres, commercial buildings, shops and factories across Wolverhampton. We are highly focused on providing cost effective solutions to your pest infestation problems and we will work closely with you to remove your pest problem as soon as possible so that you can be pest-free and return to business as usual. No job is too large or small for Pestbusters. 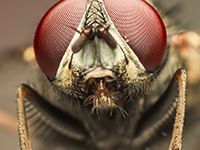 From removing wasp’s nests and dealing with ant infestations to eradicating bird problems in your loft, you can be assured of our professional discretion and speed of execution. We can also advise you on how to avoid pest infestation problems in the future. 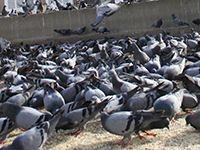 We can also deal with difficult to locate pest infestations. We are highly experienced in working in areas where there might be restricted access and, with the use of the latest modern equipment and products, we can take on jobs no matter how difficult they may initially appear to be. If you have a pest infestation problem and are unable to locate the source then please get in touch and we will help locate the problem, come up with a solution, and then implement it so that you can get back to normal as soon as possible. Pest problems can be the bane of your life. They can cause a lot of damage, be costly for your business and provide an unhealthy environment. We advise you to act quickly once you have identified a pest infestation so that the matter can be dealt with swiftly. The quicker you engage our services, the quicker we can implement a solution that resolves your problem and limits the damage caused. Wolverhampton originally grew as a major industrial centre through the coal, iron and steel industries. Still famous for its industrial heritage the economy of Wolverhampton has developed into hi-tech sectors and aerospace industries. There is a lot of old industrial units and old housing stock in the Wolverhampton area and there is often a need to provide pest control services. Pestbusters have been serving the community of Wolverhampton for many years with high quality pest control services and we have many satisfied clients in the area. 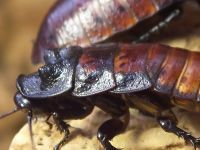 If you are based in or around Wolverhampton, Walsall, Dudley, West Bromwich, Stourbridge, Cannock or Telford and need advice on a pest infestation problem then please contact us. We can offer a comprehensive pest control and rodent control service at affordable prices so contact us now on 08000 35 1000 and speak to one of our team of experts.